A bariatric doctor specializes in problems of the stomach and digestive system. 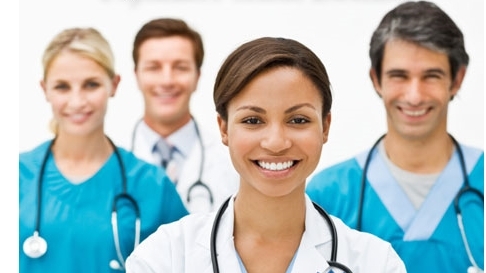 The best bariatric doctors belong to The American Society of Bariatric Physicians (ASBP), which is the name of the medical professional association for physicians who treat and manage overweight and obese patients and their related conditions. The American Society of Bariatric Physicians is the primary source for clinical education and training for the non-surgical medical management of obesity. An obesity program should be supervised by a physician who is a member of the ASBP and who has completed specialized training in bariatric medicine. If you have already know which kind of bariatric procedure you wish to have, then it’s important to find bariatric doctors who are experts in that particular procedure. Don’t allow a general doctor to make the decision for you. Make sure you do some fact-finding on your own because unfortunately, bariatric physicians need to make money just like anyone else. They will of course try to persuade you to have surgery in their own clinic! For example, if you search for bariatric doctors in Atlanta, you’ll probably read that it’s the best place to have the surgery done because of the warm weather. The most important thing is to find a bariatric surgeon with an outstanding reputation to perform your bariatric surgery. Don’t be afraid to travel to another city or another state to find the best gastric surgeon. Also, don’t get sucked in by the fit, attractive men and women on the covers of brochures for certain bariatric clinics. Often, these are models and not real people who have actually had weight loss surgery. Qualified weight loss doctors have received many hours of specialized training in bariatric medicine in order to help individuals suffering from obesity. This chronic disease can be treated with a comprehensive program of diet and nutrition, as well as exercise and lifestyle changes. Before proceeding with obesity surgery, problems such as such as emotional eating, binge eating, negative body image, low self esteem and lack of self control should be treated with behavioral counseling. 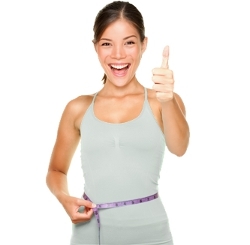 A medical weight loss program should be structured to help one maintain weight loss for the long-term. Research your bariatric surgeon’s background. Weight loss surgery success rates are usually dependent on the doctor’s experience level and past track-record. Your surgery will be more likely to succeed if you choose a doctor who has performed hundreds of bariatric surgeries already. Are you currently a member of the American Society of Bariatric Physicians (ASBP)? How many bariatric surgeries have you performed in your career? What types of bariatric procedures have you performed? Do you have a specialty degree in bariatric surgery? How many bariatric surgeries have you done in the hospital or clinic where my surgery would also be performed? Do you have patient references for bariatric surgery? What are the risks and benefits for my particular bariatric surgery? What are the bariatric surgery complication and mortality rates in the surgeries you have performed? Do you work with a particular anesthesiologist and does this person have experience with bariatric surgery patients? Will another doctor assist you during my bariatric surgery? What will happen if you are not available on the day of scheduled surgery? Will another doctor do the surgery? Be straightforward and honest about your own medical history. Don’t talk yourself into bariatric surgery! It’s not a decision that should be taken lightly. Your doctor may be able to offer an alternative to surgery. Discuss with your weight loss doctor your expectations for eating habits and weight loss after the surgery. Make sure you have information on bariatric surgery diets so that you understand what you can and cannot eat. Be clear on the cost of weight loss surgery and your payment options. Weight loss surgery may be covered by insurance as a medical need, but make sure you confirm this. Bariatric procedures are quite expensive, and your physician might have some type of payment plan or financial assistance to help you defray the cost of the surgery. By taking the time to thoroughly research your physician’s background before proceeding with bariatric surgery for weight loss, you will be able to achieve greater peace of mind, knowing that you have chosen the most qualified doctor available in your area. Given the seriousness of the choice to proceed with obesity surgery, the extra time spent will be well worth it.